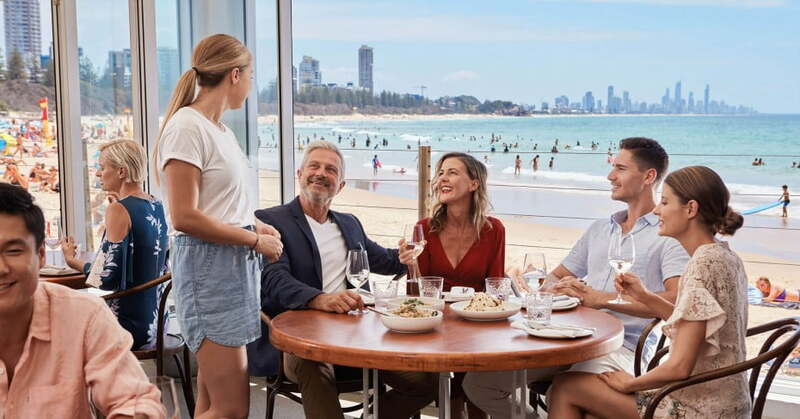 If you need a holiday that puts fun first, Queensland’s Gold Coast has all the qualifications for the job - gorgeous surf beaches, thrilling theme parks, reliably sunny weather and all types of accommodation. Since the 1960s, this part of Australia has been devoting itself to the pursuit of play. Our flight frequency makes planning a trip to the Gold Coast super-easy. There are several non-stop flights to the Gold Coast from Auckland every day. We also offer non-stop flights to the Gold Coast from Christchurch. The Gold Coast is one of the world's best surfing locations and there are breaks for every skill level, including plenty of waves for body surfers and boogie boarding. Along the 57km Gold Coast surf trail, check out Tugun, Greenmount, Currumbin Alley, Palm Beach, Broadbeach or Rainbow Bay. And there's always the dependable Surfers Paradise beach break. The best side of the Gold Coast is outside. On patios, decks, pavements and balconies, your evening meal comes with a big helping of sea-scented air and sun-warmed scenery. 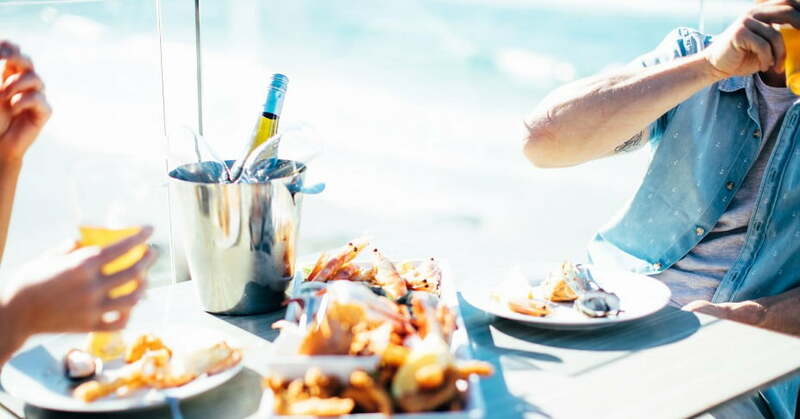 Make the most of the coast's excellent cafés and restaurants, like the iconic Rick Shores in Burleigh or do-it-yourself with wonderful local ingredients. And we cannot help but mention the GC's rooftop bar revolution, with relaxing Sunday beats on the Italian rooftop of Justin Lane, to the unique market style collaboration at The Collection. 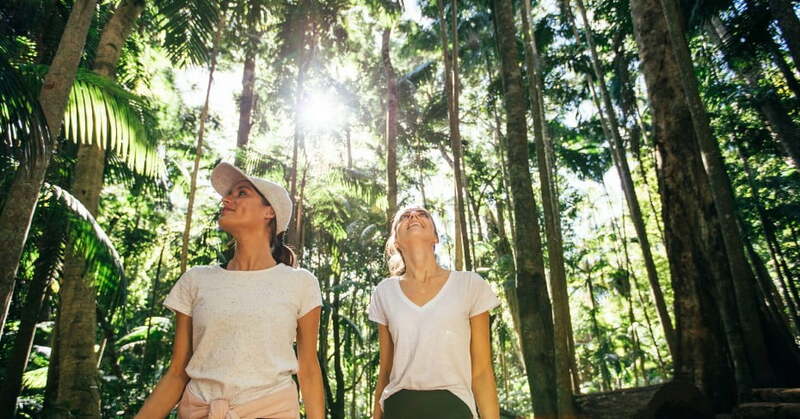 Inland from the Gold Coast is a hinterland that's just oozing with unspoilt world heritage sites, fantastic hikes, charming mountain villages and sweeping coastal views. Lamington National Park has trail networks that lead through rainforest to caves, waterfalls, creeks and picture-perfect picnic areas. Instagram heaven! It's hard not to look past O'Reilly's Rainforest Retreat when considering the perfect Hinterland retreat to lay your head and you can even order ahead a daily packed lunch to fuel your adventure. 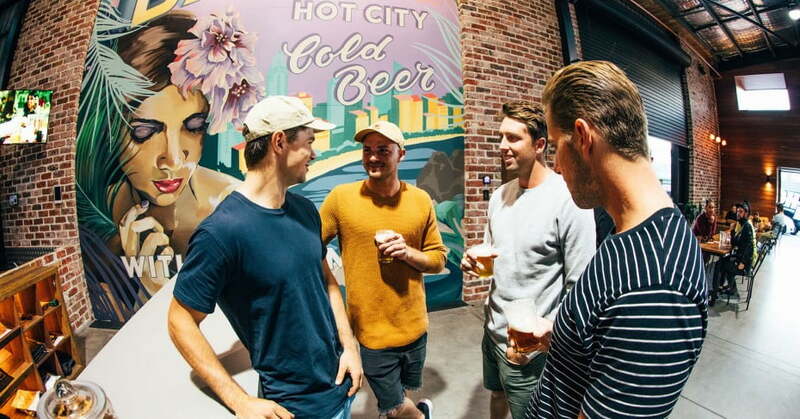 A bunch of pro surfers, including Mick Fanning, have caught the craft brewing wave that's sweeping across Australia. Their brand is Balter and it's based in the suburb of Currumbin. The best time to visit is on Friday, Saturday or Sunday, when the brewery's HQ is open for tastings. Food trucks and live music are often part of the fun. 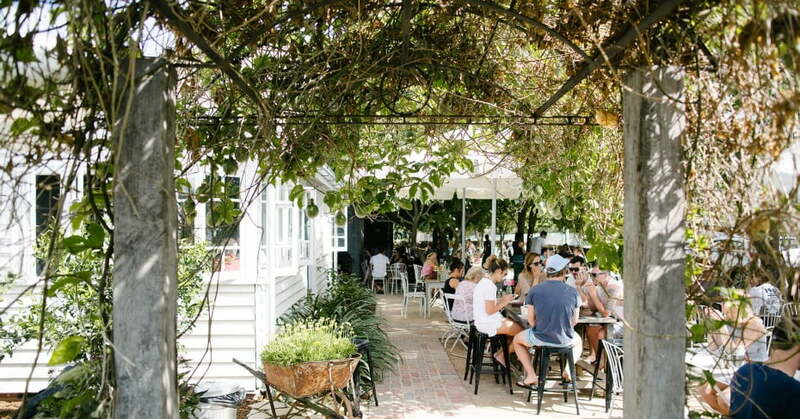 Get your morning caffeine hit at award-winning Nook Espresso at the beach right next to Burleigh Head National Park. Locals love this hole-in-the-wall mini café for its creamy cappuccinos and tasty toasted sandwiches. Nook opens at 6:00am. The first and third Sundays of every month are market days at Burleigh Heads State School. It's much more than a shopping experience, because there's live music, great food and lots of socialising. On the fourth Sunday of every month, the market is at Paradise Point Park. 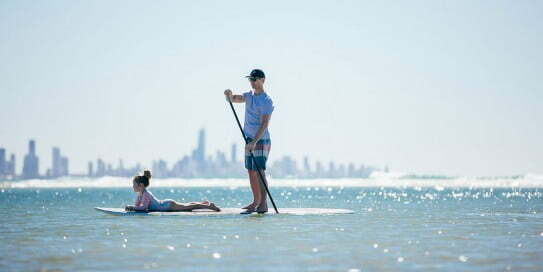 One of the best places to go for paddle-boarding is Currumbin Alley, especially at daybreak. Follow your stand-up session with a surfing lesson at Greenmount Beach, which offers pleasingly long rides for newbie surfers. Then get on your bike for a leisurely four-kilometre ride from Miami to Burleigh Heads. They do a mean espresso martini at Rick Shores in Burleigh Heads, best enjoyed outside where the deck meets the sand. If the cocktail hour extends into dinnertime, the Pan-Asian menu here is pretty delicious. We have it on good authority that the best breakfast on the Gold Coast is at Paddock Bakery in Miami. You can watch the chefs at work and rejoice in the fact that everything's made on site with super-fresh ingredients. Order the dippy eggs and ask for extra avocado. Start your Gold Coast day than with an early morning walk in Burleigh Head National Park. The trails were recently upgraded, so you can spend less time looking at your feet and more time enjoying the views. Your goal is the Tumgun Lookout for an eye-widening panorama of the ocean and coast.